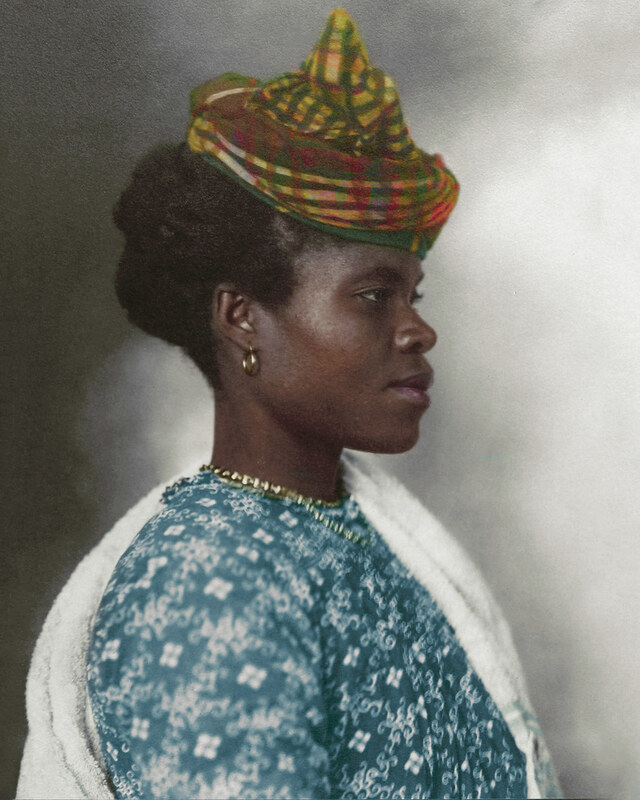 The elaborate tartan headpiece worn by Guadeloupean woman can be traced back to the Middle Ages, when the eastern Indian city of Madras was famed for its cotton-making. First plain, then striped, and then with increasingly elaborate patterns, the Madras fabric that was exported and used as headwraps was eventually influenced by the Scottish in colonial India, leading to a Madras-inspired tartan known as ‘Madrasi checks’, which in the colonial empires made its way to the French-occupied Caribbean. Like many of the traditional costumes from all over the world, the headpiece decoration in many cases was indicative of the married status of the wearer.